Charles Michael Davis is best known for his modeling and acting (Liam – Switched at Birth, Kwan Kirkland – The Game), and I wanted to see a different side. 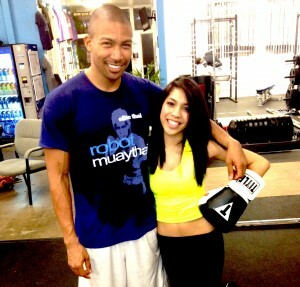 For Charles’ interview, he showed me one of the things he does on his free time – Muay Thai and taught me the basics. Following the lesson, we discussed how his career started, his most embarrassing moment on set, something his fans don’t know about him, his nationality and more. Although Charles plays an intimidating role on “The Game,” he is absolutely nothing like his character – this was by far one of my favorite interviews.